I strictly have nothing to say but I want that comes out. don‘t americans hate anything french? Some bad hombres did it! Ah that sux, hope nobody was hurt. nobody hurt, simply a part of our history in ashes. Wow, sad to see it go up in flames. I have been inside a decade ago, magnificent place. Will be interesting to find out cause of fire. Maybe a simple electrical fault. "Ovaj pristup je možda dovoljan za mađarsku ligu, ali je ovo ipak evropska utakmica".- Thomas Doll (23.7.2015). "Imam osjećaj da postoje ljudi koji stalno gledaju u sat kad će nestati Bosna i Hercegovina, to traje predugo. A ne znaju da oni imaju satove, a BiH ima vrijeme." - Haris Silajdžić (6.12.2017). I understand that Dresden Cathedral was bombed during the Second World War, but they restored it very well. 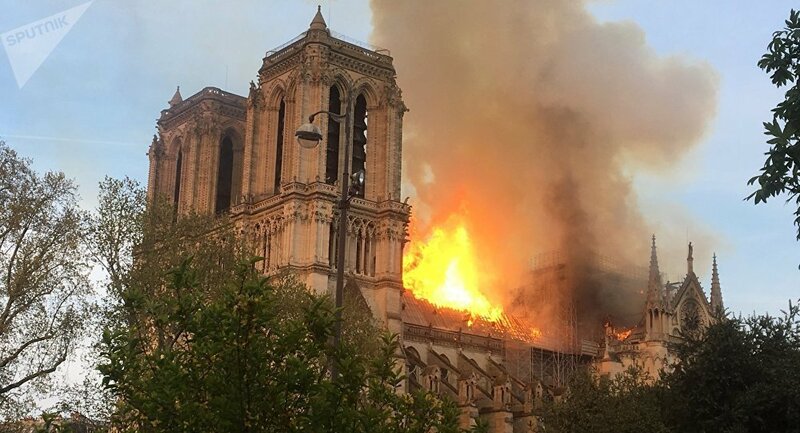 Of course a bombing and fire cause different types of damage, and the extent of the damage with Notre Dame is still not fully known. But we can hope that they can somehow restore it well. The Dresdner raised money exclusively on private donations to restore their historical downtown after wwII. Really impressive act of solidarity by the Ossies. I know Sanyi would dislike this. Re Notre Dame, sad news indeed. The first reports on the cause mention short circuit current during restauration works. sure, it can't be as terrible as dresden or every towns bombed during the WW2. i think that most of the artworks inside has been saved though. well i hope. There's a conscientious developer talking.